Race with Mimi at the Boxers’ Trail 5K Saturday, September 10. Register here. Mimi wants you to join her. Anyone who knows Mimi Brown knows that she brings us the music that’s good for our soul. Her triumphant spirit and passion for life inspire us to shake off the blues to enjoy life. 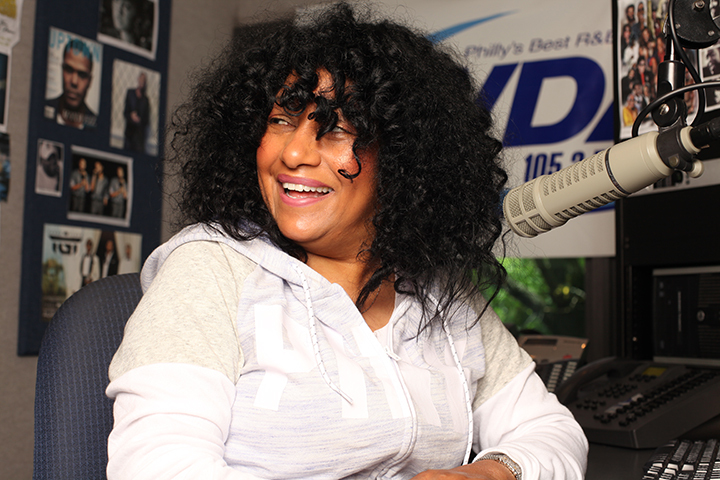 Tune into WDAS-FM 105.3 in the coming weeks, and you may hear her call upon her listeners to join her in another life-affirming journey: fitness. Fitness is something that many of us struggle with at one point or another in our lives. And Mimi’s no different. After a childhood of balanced eating and regular exercise, she fell into a rut after college. The pressures of a fast-moving career made it more difficult to get back into a healthy groove. She began to put on the pounds until she didn’t recognize herself. Wanting to make a change, Mimi decided to join a gym, but she just couldn’t stick to it. “I only went twice,” she said. Mimi realized it wasn’t how much she spent, but what was going to make getting fit something she could commit to was realizing that she wasn’t doing for anyone else, but herself. As her body began to change, her goals began to shift as well. She always saw herself going across a finish line, and so decided to run her first race: the Boxers’ Trail 5K. And she wants you to be a part of it, no matter your current fitness level. Both walkers and racers welcome. 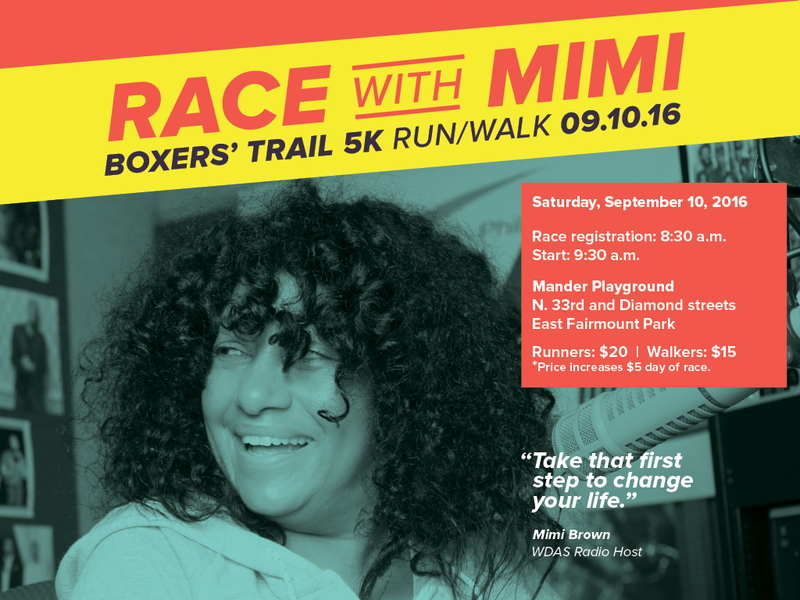 Register now to Race with Mimi at the Boxers’ Trail 5K on September 10, 2016. Pre-register to save $5. All Strawberry Mansion resident register for free. Download and share our Race with Mimi flyer. 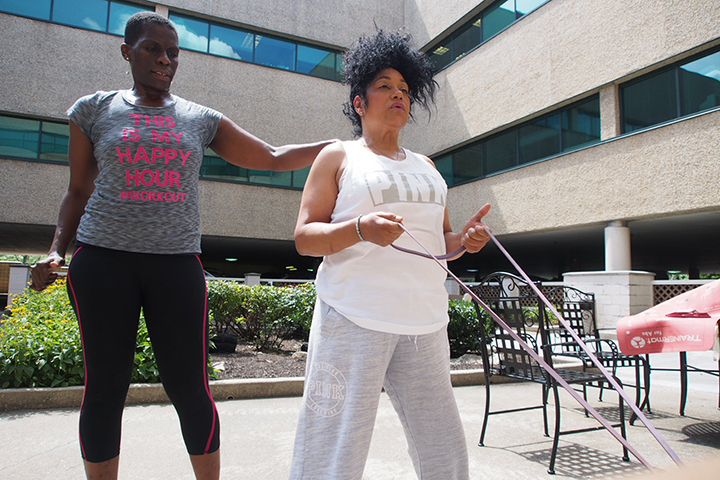 Train with Coach Lez, Mimi’s personal trainer, for free 7 p.m. every Tuesday leading up to the race at the Corner of 33rd and Diamond streets. Download our 8-week training program for race walkers. Download our 8-week training program for race runners.